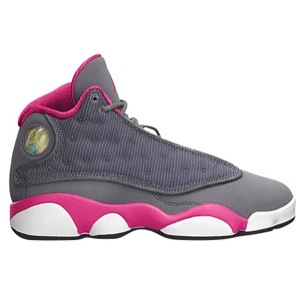 Retro 13 Gray/Pink Girls out now! The Jordan 13 “He Got Game” dropped today, but not alone. The Retro 13 Gray/Fusion Pink hit shelves in GS sizes only. Cop a pair here on Eastbay or here on footlocker while they last. Jordan Retro 13 "He Got Game" Available NOW! 20% Off is back at Eastbay!